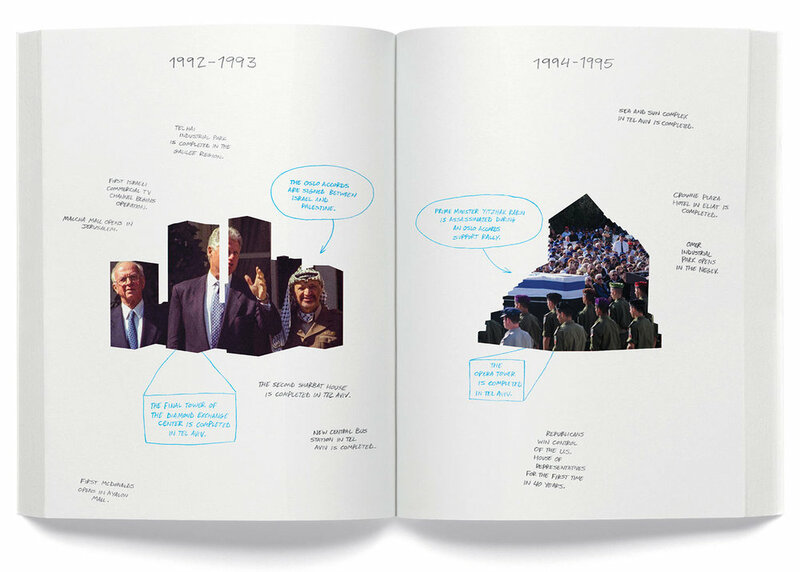 In 2012 Post Typography collaborated with architects Milana Gitzin-Adiram, Erez Ella, and Dan Handel on a project for Aircraft Carrier, an exhibition at the Venice Biennale that examined American corporate influence on Israeli architecture after 1973. 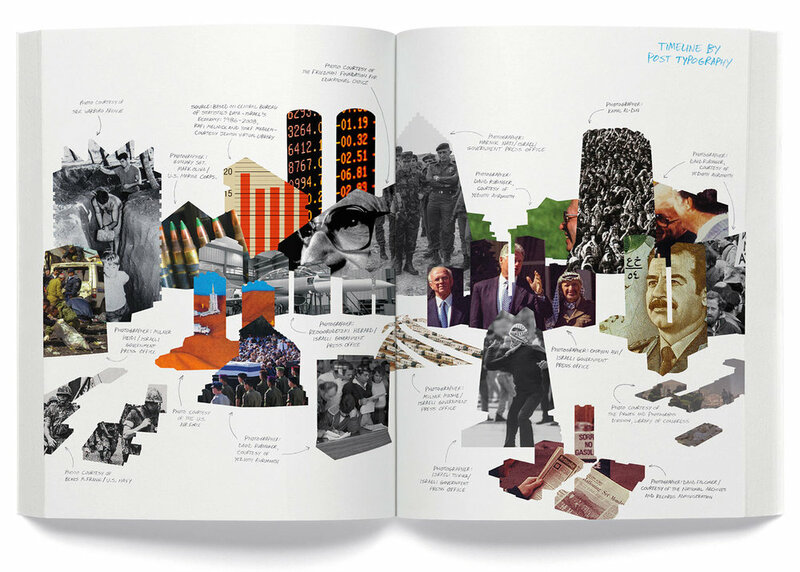 For the exhibition and catalog we created an illustrated timeline that establishes the social, political, and economic setting within which these buildings were constructed. The monolithic forms of late-20th-century architecture become abstract windows through through which significant events from this period are viewed. The shapes of the buildings create surprising juxtapositions with historical photos from this era.